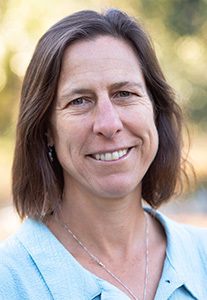 Nikki’s tenure at NCS began in 1996 when she supported the founding families by attending meetings held at Novato Unified School District, and by organizing volunteers and soliciting donations to set up our organic garden. When the doors first opened in August of 1996, Nikki’s daughter joined the Sunflower Kindergarten class and Nikki became the Gardening Teacher for the grades classes. Later in the year, she stepped in as the Dandelion Kindergarten assistant when an unexpected departure created the need. 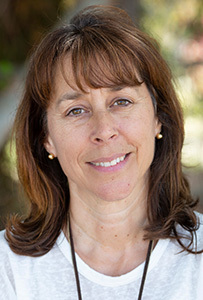 After a hiatus away from NCS, Nikki returned in 2012 as the school’s director. 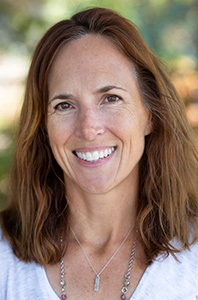 Nikki has a Bachelor of Science in Nutritional Sciences, a California Public School Teaching Credential, a Waldorf Education Teaching Certificate, and an Education Administration Services Credential. Before becoming Director of NCS, she taught in public school settings, Waldorf inspired charter schools and private Waldorf schools, including Colegio Waldorf de Cuernavaca, in Mexico, where she became fluent in Spanish. 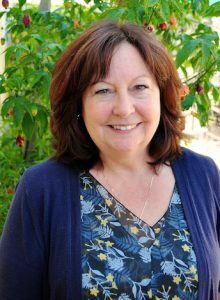 Nikki’s two adult children received a Waldorf education Kindergarten through High School, which afforded her the opportunity to experience the education from a parent’s perspective. When not at school Nikki can usually be found in rural Sonoma County, either digging in the garden or on the back of a horse! April joined NCS in 2018 after serving the East Bay Waldorf School community as the Development Director focusing on school fundraising and event management. 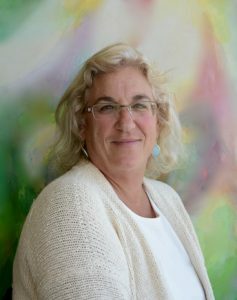 Prior to that, she supported the Marin Waldorf School as the Enrollment Director for six years. Her role there allowed her to become well acquainted with the Waldorf curriculum and the importance of community. From those experiences, she has enjoyed working alongside the faculty, staff, and parents in support of the children. April also has experience in property management which will serve her well in caring for our facility needs. She has a BA in Humanities and Cultural Studies from Dominican University of California. John assumed the position of supporting the financial responsibilities for three charter schools (including Novato Charter School) in July 2018. After having served in finance and operations leadership roles in the nonprofit sector, John was the Operations Director at Sebastopol Charter from 2013 to July 2018. Prior to a mid-life sabbatical to pursue graduate studies in education, psychology, and philosophy, and to start a family, he was an international business executive with General Electric, leading and serving in various management capacities. John is a certified Waldorf teacher having completed his training at Rudolf Steiner College where he received his MA in Waldorf Education. He also holds a BA in Economics from Yale University, an MA in Philosophy and Religion from the California Institute of Integral Studies, and a certificate from the Universidad de Sevilla (Spain) where he studied abroad. John has lived and worked in Spain, Malaysia, Singapore, and Hong Kong, and traveled widely before settling down in northern California. He has absolutely no desire to board another aircraft ever again. When John can find the time, he enjoys playing the piano and singing with others. He is a long time student of the Diamond Approach and the inner journey. You will often find him at Ragle Park playing baseball with his son, Kian (age 11 ½), or helping his wife, Colleen, with her various projects around their home in Sebastopol. “I have worked for Novato Unified School District for the past five years. I have over 15 years of experience in working with students and teachers, in both classroom and office environments. My husband, Mike, and I have been married for 28 years and live in Petaluma. We have a daughter, Jana, who married this year, and a son, Casey, who graduates from college in April. On weekends, my husband and I enjoy watching our son play college basketball, or we can be found helping my daughter re-model her new home. We also enjoy hiking, cooking, and spending time with family and friends. As a child, I grew up traveling around the world, as my father was involved in the Peace Corps but settled down in Novato, where I went to school from 6th grade through high school. Laurelle joined the staff in May 2007. She does the bookkeeping for the School, the NCS Foundation, and Class Funds plus payroll and on-site HR.